“We are delighted to welcome the New Year with our newest international flight from Cebu to Macau. We are here to provide connectivity, excellent service, unparalleled low fares, safe, and reliable airline service that every Cebuano, every traveler truly deserves,” said Dexter Comendador, CEO of Air Asia Philippines. 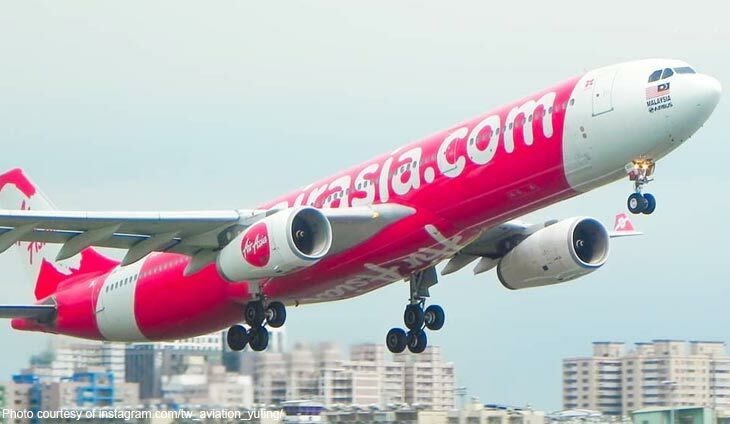 AirAsia currently operates several international flights from Cebu to Taipei, Singapore, Kuala Lumpur, Shenzhen and Incheon/Seoul while domestic flights from Cebu to Manila, Davao, Cagayan De Oro, Clark, and Puerto Princesa are also available. It operates several flights to/from Manila, Davao, Cebu, Kalibo, Caticlan (Boracay), Tacloban, Tagbilaran (Bohol), Puerto Princesa (Palawan), Clark, and Iloilo in the Philippines with international flights to/from Shanghai, Taipei, Incheon (Seoul), Hong Kong, Macau, Kuala Lumpur, Kota Kinabalu, Guangzhou, Vietnam, Indonesia and Singapore.